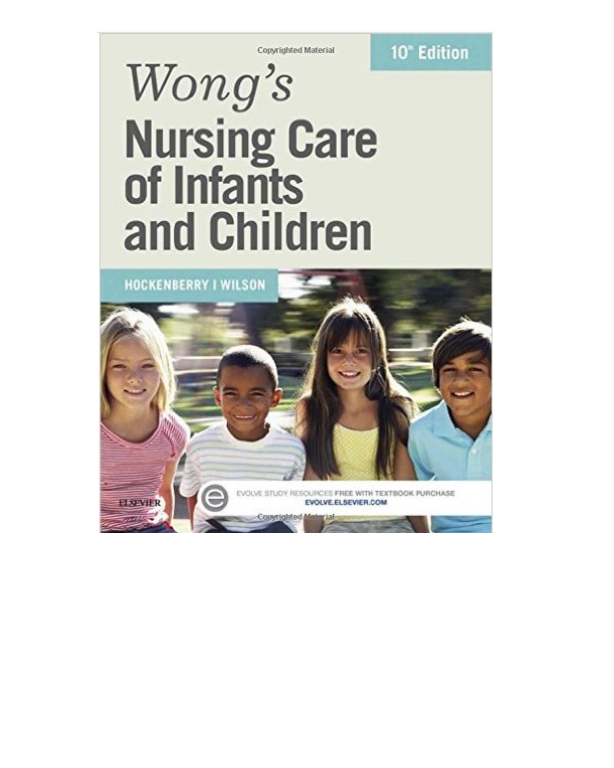 The most trusted authority in pediatric nursing, Wong's Nursing Care of Infants and Children provides unmatched, comprehensive coverage of pediatric growth, development, and conditions. Its unique 'age and stage' approach covers child development and health promotion as well as specific health problems organized by age groups and body systems. Leading pediatric experts Dr. Marilyn Hockenberry and David Wilson provide an evidence-based, clinical perspective based on nearly 30 years of hands-on experience. Easy to read and extensively illustrated, this edition focuses on patient-centered outcomes and includes updates on topics such as the late preterm infant, immunizations, the H1N1 virus, and childhood obesity.